The Rockpool name is synonymous with fine dining in Australia. First opened in 1989 in Sydney, the original Rockpool quickly made a celebrity of its owner and head chef Neil Perry with its exquisite attention to food detail and the ultra fine dining experience - accumulating 66 chefs hats in the process (the Australian version of Michelin stars). Neil, in his great wisdom and to the benefit of us mere mortals, decided in 2009 to launch the more “casual” restaurant, Rockpool Bar and Grill Sydney. Rockpool Bar and Grill quickly became one of the signature steak restaurants in Sydney, attracting accolades from food critics, wine lovers and restaurant goers alike. 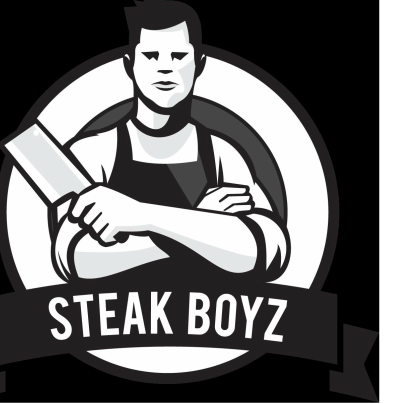 It was at this place of worship, I mean restaurant, where the Steakboyz found themselves on this fateful November evening. With its Neil Perry heritage and associated reputation, it was paramount that this restaurant delivered - and delivered in spades it did. The menu is truly exhaustive, but to kick matters off, entrees of Hiramasa Kingfish, Tuna Tartare, Scallops and Calamari were ordered to share with some cleansing ales whilst the wine was decanting. The main feast of steaks, sides and red wine followed. Details as below. Located in a 1936 Emil Sodersteen-designed American style art deco skyscraper, Rockpool oozes class but without pretence. It’s ornate high ceilings ensures the first impression is strong and akin to entering a cathedral in Gotham City. This more "causal" restaurant is lauded as "Australia’s most beautiful dining room" and it easily lives up to this billing. The tables are a good size (proper amount of space for an adult) and the deep mahogany leather chairs welcome you with comfort. There is a classic open kitchen that also acts as a showcase, whilst the wine, in what seems to be a football-field-sized cellar gives hint to the bible sized wine menu on offer. Think classic cigar lounge without the cigars, it comfortably scored an average of 9.2 for ambience. Warmly greeted by the front desk, you are quickly shown to your seat, with initial drink orders immediately taken. Billed as "Australia’s greatest wine list”, the menu featuring over 4,500 varieties is first presented by the waiter. Yes, that was 4,500 with more than 60 varieties by the glass (hence the bible sized wine menu) and so seeing the look of consternation on faces, the sommelier quickly appears and begins the speed-dating-like-ceremony of matching wines to preferences. We pick a Romanian wine as our perfect match. The sommelier was fantastic. The main waiter on our table was knowledgeable, but somewhat impatient. He was professional but didn’t quite want to be there with us that night, and for this reason the Service score wasn’t quite as high as it otherwise could have been (I guess we all have off nights...). But don’t misunderstand, we are nit picking here. There are a good variety of sides to choose from, but there are three words that I thought would never be said whilst reviewing a steak restaurant of this ilk - Mac ‘n Cheese. Simply said, awesome. We would probably order this as a stand-alone dish on a carb loading night, it was that good. Mushy peas, creamed corn, obligatory chips and salad-come-table decoration were also ordered. All were as expected and hence scored appropriately. But seriously, have the Mac ‘n Cheese. This is referred to as the Jesus steak. The reason for this reference was initially unclear to me until we had that first taste - the subsequent mutterings around the table were as follows : “jeeeeesus” “Oh.My.God” “holy crap that’s good” and utter silence from the others - hence the Jesus steak moniker. So tender, so flavoursome, so utterly perfect, it was an immediate and unanimous “the best steak I have eaten” rating of 10 out of 10. The only mistake was that we tasted this before we had our individual steaks - nothing was going to compare and probably impacted the scoring of our individual serves. Nonetheless, it was sent from the heavens and showed us what steak perfection was. Living up to its reputation, Rockpool Bar and Grill certainly delivered. Food was sublime, ambience was befitting, wine list was overwhelming (but easily navigated by the great sommelier) and service was otherwise as expected. If your budget allows, have the Mishima (to share), otherwise any of the grass fed steaks (the Ribs Eye and Fillet scored best) will also please, and don’t forget the Mac ’n Cheese on the side.